Seen a decline in your organic reach on Facebook? Fear not – you aren’t alone. Organic reach has fallen by 88% since October 2013 – from 49% to just 6%. But why are business pages seeing such a rapid decline when it comes to organic reach? Firstly, Facebook has grown at a super-fast pace and there’s only so much space in each user’s new feed. There are now a whopping 18+ million business pages competing with yours on Facebook. The other reason comes down to money. Facebook makes money when you pay for your content to reach more people. So what can you do to increase your organic reach on Facebook? Facebook puts a lot of emphasis on content quality and content relevance. 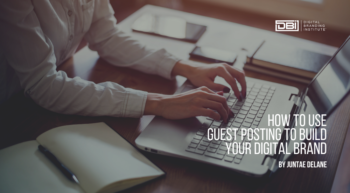 When deciding which posts make a user’s newsfeed, engagement metrics such as likes, shares, and clicks come into play – helping Facebook determine the quality of your post. Facebook considers how many times a user has engaged with your page, so the more they engage, the more likely it is that your content will appear in their newsfeed. Another reason why it’s so important for you to consistently post quality content. When your following loses interest – you lose organic visibility. If you can’t show off what you do – social media would be pointless. However, brands that are overly promotional might begin to see their organic reach decline. Remember: Facebook serves content based on interest – not intent. Facebook is always fine-tuning their algorithm to weed out poor content and enhance user experience. Facebook is demoting pages that post frequently circulated content. Facebook found that when they deemphasized pages that regularly shared recycled content –users reportedly hid 10% fewer stories. Post as much original content as possible – content is still king! How have you improved your organic reach? Comment below with tips! I specialise in digital marketing – providing services to help you achieve an effective online presence!